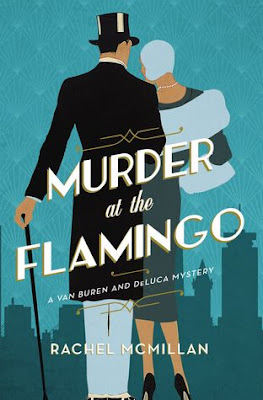 If you haven't read Murder at the Flamingo yet, you don't know what you are missing! Hamish is one of my very favorites, but not for the reasons you may think. Hamish is unique. I can relate to him. For me, he IS real. 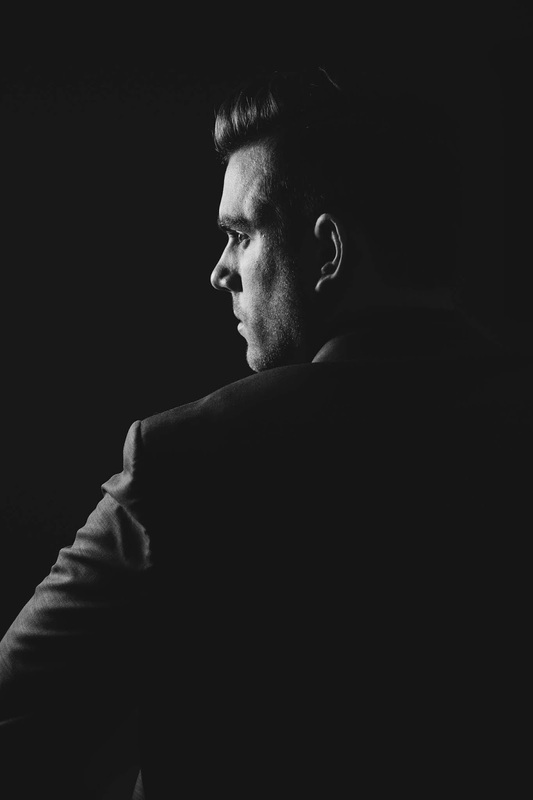 His challenges with anxiety make him stand out among heroes. And I love him for it! Today we have Rachel Mcmillan giving us a peek behind the scenes of this story and Hamish himself. Don't forget to enter the GIVEAWAY at the end of this post! 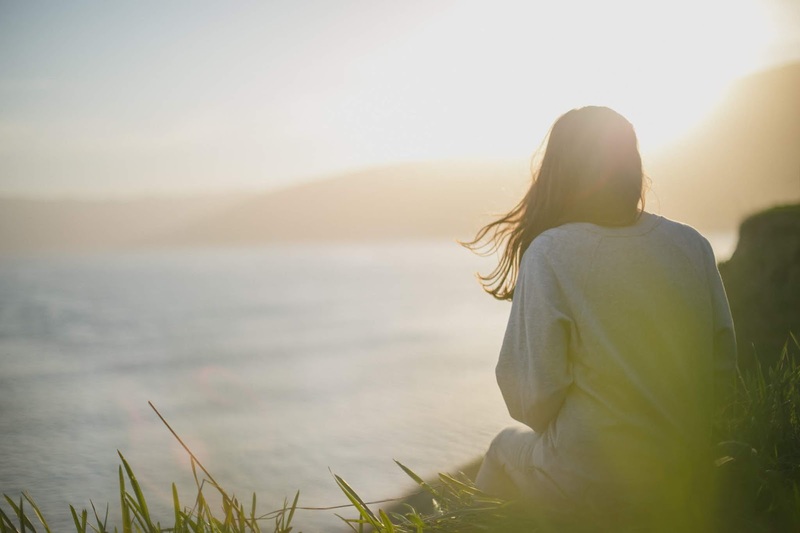 Having suffered from a panic and anxiety disorder my entire life, I have been privileged to have a kind and compassionate support group of family and friends, as well as access to medication and a great psychiatrist. This is not always the case. Some sufferers do not have access to a medical health plan nor an understanding community. I created Hamish DeLuca so readers would know that they were a part of a community. That whatever face their anxiety and panic took needn’t define them. To encourage them to find a way to perceive their limitations as something unique. To let them know that they are not alone. We look up to characters in fiction, don’t we? Especially male romantic leads. We want them to get the girl, solve the crime, save the day. It was empowering for me to create a hero who is handsome and rips up the dance floor, with a dimple and big blue eyes and a penchant for slipping into romantic Italian yet use him to normalize mental illness in a time when it was heavily stigmatized. Think of all of the dashing figures cut by 1930s film stars, the era in which my series is set. Clark Gable smiling while Atlanta burns around him and Vivien Leigh, swooping her into his arms and kissing her senseless. Errol Flynn with his sly smile and innate charm swashbuckling his way through a popular matinee adventure, Charles Boyer wooing Hedy Lamarr with his lush French accent. 1930s heroes didn’t usually look like lawyers who have a very visible panic attack during their first big trial. But, alas, that’s who Hamish DeLuca is… a different (though still worthy) type of hero. Hamish DeLuca showed up in my head with all of my physical and mental symptoms. There is not one symptom I ascribe to him I have not personally suffered from. Whereas Hamish lived in the 1930s, where hiding his mental illness was not just a matter of avoiding embarrassment but avoiding being locked in a sanatorium, prescribed horrible mercury pills or exposed to shock treatment, we live in an age where the stigma has lessened. 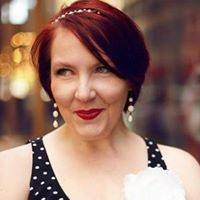 We are more openly talking about anxiety and we are recognizing it as a severe and legitimate medical illness. We are taking strides to normalize sufferers as well as accept their limitations much as we do those who suffer from pneumonia or diabetes. We are ensuring patients find a way to live full and meaningful lives. We have a wide communal space through social media to find other people with our challenges and we have the medium of fiction. Studies show readers of fiction are more likely to develop empathy. Empathy, we learn in Murder at the Flamingo, is the greatest gift. It transcends race or religion or gender. With my new series, I am committed to helping sufferers recognize that they are bound to a chain of people who know exactly how they feel. Just knowing that there is someone out there in the vast universe can be a comfort! I am also committed to shining a light on anxiety so that those who do not suffer can better understand those in their family and friend and work circles who do. Already, readers have taken the time to write me letting me know that Hamish DeLuca better helped them relate, help or take a step toward understanding someone in their life with mental illness. That might sound like a humble brag, but I don’t mean it to be taken that way. I tell you to encourage you to champion fiction that leads to empathy, to understanding, to overcoming adversity. Throughout literary history, it was far easier to give mental illness and its limitations to female characters. In the Victorian era, everything from anxiety to postpartum depression to PMS symptoms were housed under the blanket term “hysteria” and saw women locked away by the dozens just for having a few stumbling blocks. In my series, I gave the weakest parts of myself to my hero: the one who is supposed to solve the murder and dash into adventure and get the girl and make us all swoon. It was important to me to gender swap and ensure that the face of mental illness in historical fiction is not just that of a woman’s. Hamish, my adorable Hamish, just has a few more mountains to climb. He still becomes the hero of his own story and he still finds a way to woo the beautiful Regina Van Buren. My dearest hope, reader, is that his education in learning that what he always thought was his greatest weakness was actually something that set him apart is something you take with you. Think of all of the perceived limitations in your life--- what unique perspective, empathy or skill does that give you that no one else in your world has? Fiction is empowering. Fiction is a starting point for empathy. Let’s all champion the ways it can shake our world in a way no other medium can. Fiction can be the best medicine there is. 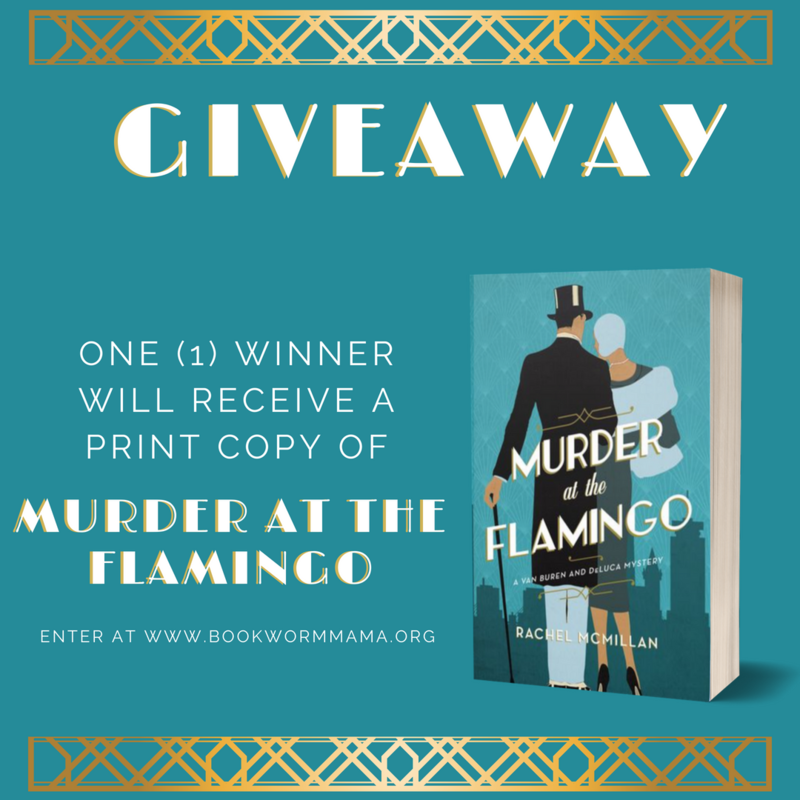 For more information about Rachel's books, check out my post for Murder at the Flamingo HERE! The publishers have graciously provided ONE (1) of my readers with a PRINT copy of Murder at the Flamingo. To enter, please use the Rafflecopter form below. Open to US addresses only. Void where prohibited. You are going to love the man he grew to be! Thank you for the glimpse behind "Murder at the Flamingo" and Hamish through the authors eyes. 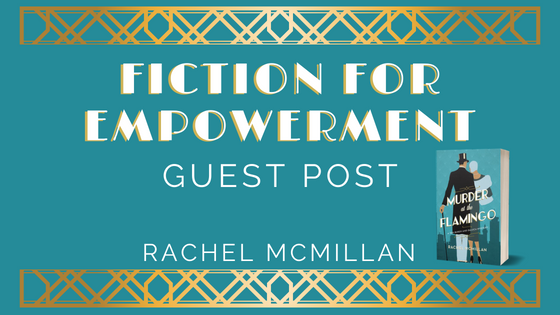 I think Rachel Mcmillan's book sounds amazing and I'd love the opportunity to read it. I do believe reading books helps people empathize because we are willing to look at things from someone else's perspective. I love that Rachel used her book as a platform for people to learn, relate and understand more about mental illness. I can't wait to read this book and follow Hamish's journey! I already love Hamish but haven't yet read his story. I need this book! You will love him even more after you do! I've been hearing so many great things about this book. It's going on my wish list. Thanks for sharing your story and Hamish's story, Rachel! I'm looking forward to reading your book. Yay!!! You are going to love it! Would be honored to win! I have been wanting to read this for a while! You will like this one for sure! Thanks for stopping by! oh, yes, please!!! i want a copy of Rachel's book!!! This book sounds awesome. Can't wait to read it. It is so well written! Would love to read this book! Enjoyed listening to the interview with you! Thanks for the chance to win! I'd love to read "Murder at the Flamingo". I love the cover! Reminds me of The Drew Farthering cozy mystery series by Julianna Deering. Love her books! Thanks for the chance to win a book.